Want to free yourself from mundane and uninspiring work? Want to have the freedom to schedule your day however you like without work getting in the way? Want to be able to travel anywhere in the world and be able to earn a dependable income from any place with an Internet connection? Want to be able to reach the world with amazing products and services that you have to offer? These luxuries have been made possible in recent years, and you might be surprised at just how attainable the life of "digital freedom" is - even for regular people without special skills, talent, and knowledge. The Internet has now been around for two solid decades, and its effect on society has been even more radical than was originally predicted. Not only are we all interconnected in ways we never could have envisioned back in the mid-90s, but there are now millions of people earning a dependable income online. Is the boom over? Have you missed your chance to make money online? Not by a long shot. Internet-based products and services are just starting to take off, and there is now a wealth of knowledge out there on how regular people can launch a side hustle or even a full-on Internet business and have a fantastic chance to succeed. Living a life with work-freedom, time-freedom, and location-freedom can be a reality if you understand a few fundamentals, actually start (which few people do), and put in the work. But how do people actually make money online? Few that aren't already doing it have any clue. Not quite sure how to launch a side hustle or Internet business? Want to be a digital nomad but having trouble figuring out how to turn your knowledge, skills, and interests into something lucrative? 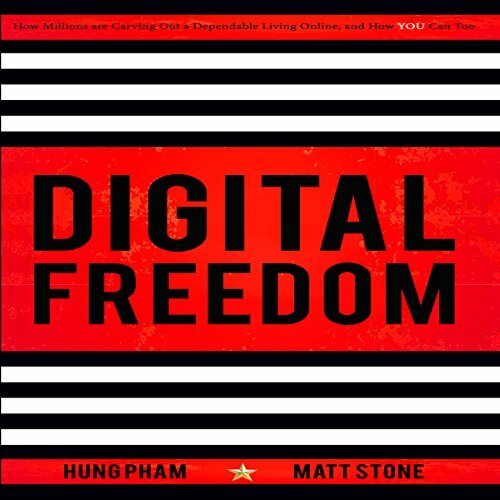 You'll find many answers to your questions and unlock the mysteries of how people make a living from the Internet in Hung Pham and Matt Stone's inspiring and educational book.